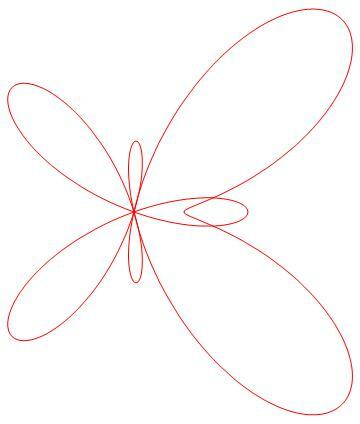 The polar coordinate system is a two-dimensional coordinate system in which each point on a plane is determined by a distance from a fixed point and an angle from a fixed direction. 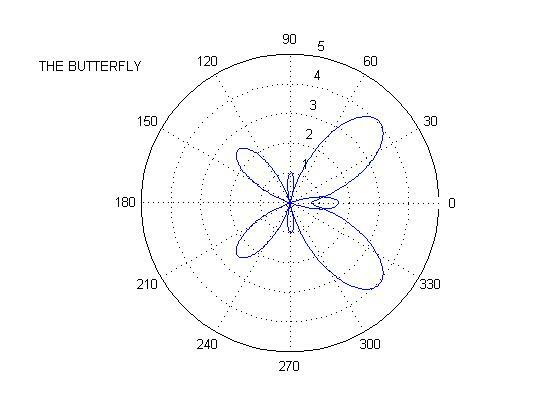 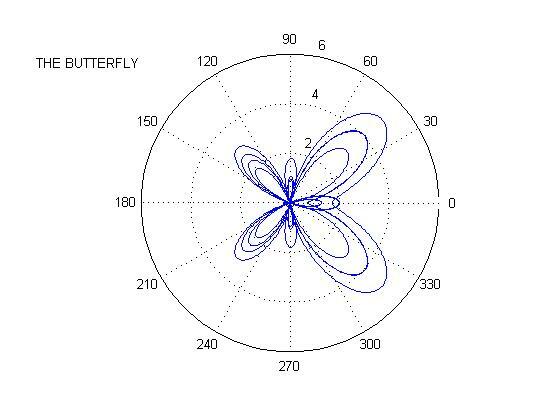 The following three formulas in terms of polar coordinates produce butterfly like curves. 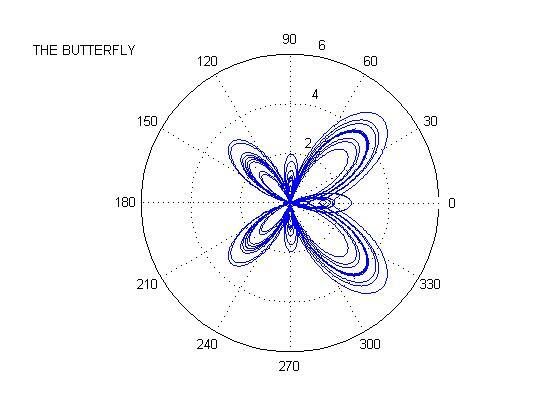 The following MATLAB script produces these three beautiful curves. 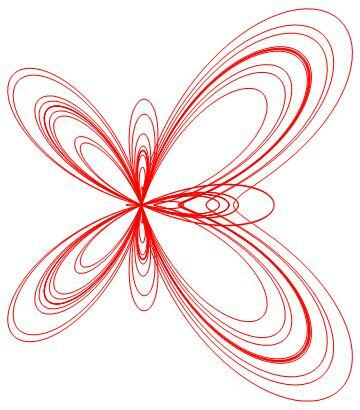 Same graphs can be drawn with these Mathematica commands. 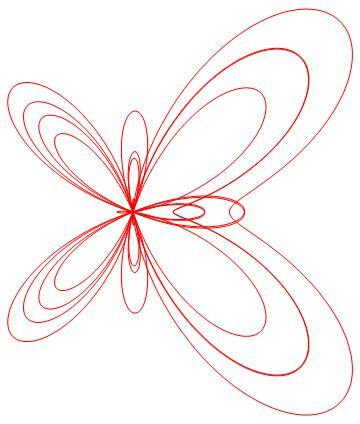 A pdf version of this post can be downloaded from here.